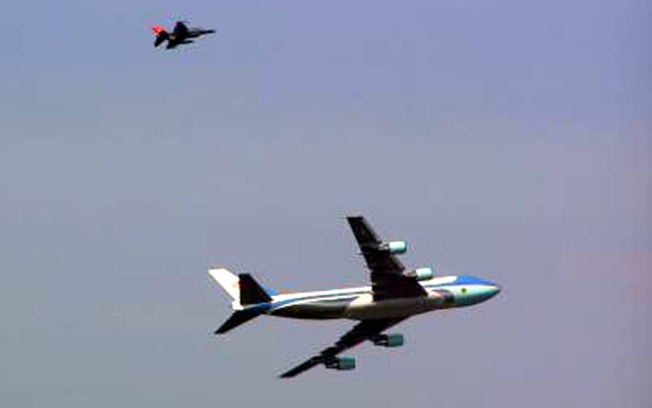 This image shows the Air Force One lookalike over the city Monday morning, escorted by the F16 above. This amateur video is the only footage that captures the sheer panic on the streets as a presidential plane buzzed past the Statue of Liberty Monday, sending residents and workers scrambling. The sight of a Boeing 747 and a fighter jet circling the Statue of Liberty and the skyline near Ground Zero sent people running around Lower Manhattan Monday. 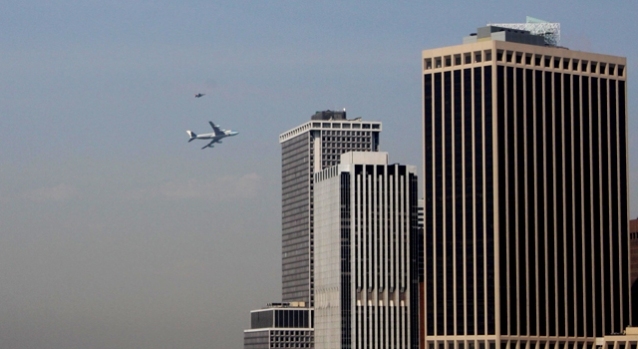 Did you see the F-16 and Air Force One back-up flying around lower Manhattan? Send us your pictures and videos here.